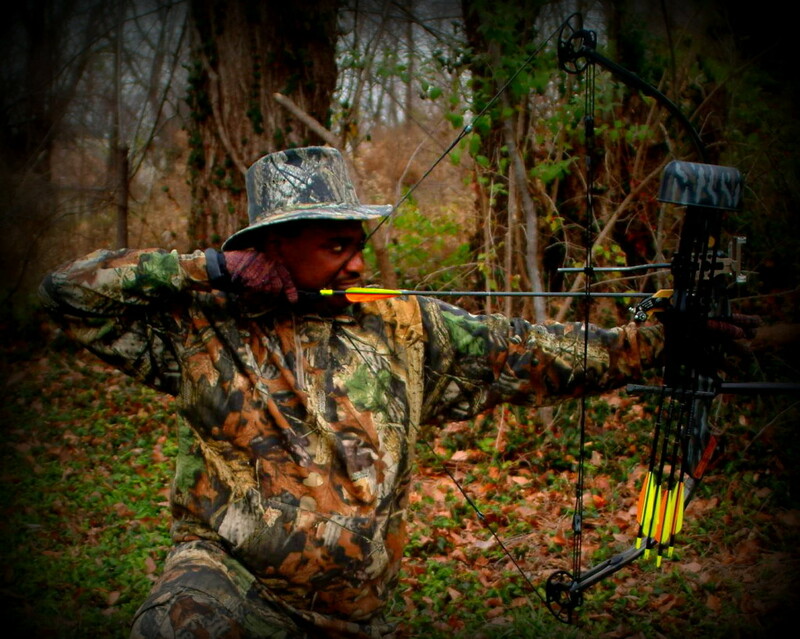 Many times on our show “Urban American Outdoors” I express the importance of how outdoors can be enjoyed by the family. There is nothing more important than family, and as we grow older we really come to understand and appreciated this. Life takes us all in different directions and sometimes you have to sit back and reflect on where time has gone. That’s why I say outdoors is a great place to be able to gather your thoughts and spend some much needed time with a family member. This past weekend my brother and I did just that. We went bow hunting for whitetail, like we use to when we were young boys with our uncle or grandfather. This time I was bow hunting and my brother was filming. We spent a lot of time reminiscing, talking about how we use to hunt and fish together and all of our great adventures. We were talking and laughing so much, that before we knew it, there was a couple of female deer that came and started listening to us two brothers. We got a big laugh about that. We basically blew a whole day of filming, so that evening we got serious and did a little scouting. This is to prep for the next morning. We came across a very good area. There were a lot of signs of deer markings. We saw a lot of scraps and rubs from where the bucks rub their horns on the trees. There were also the spots where the buck paws up the ground. This is all part of their mating habits; with this in mind, we knew that this would be a good place to hunt because all the physical signs said there were a lot of big bucks in this area. Satisfied that we found a good spot to hunt, we went back to our base camp. So before first light the next morning, we were up and headed to our tree stand. While there, there were a few does that came in and fed around. We sat and watched them. A couple of hours later, we heard a little commotion. There was this young buck chasing this big doe. As they ran across this little opening in front of us, my bother leaned toward me and whispered” That doe is going to get that buck in some trouble” we both chuckle as they continued to run towards the woods. We continued to sit there, and another hour later that same little buck was being chased by a much bigger and older buck. Yea, I guess that little buck got himself into some trouble. We had to laugh some more. As all this was going on, there was another big buck coming up around the ridge. Now this was what I was waiting for, so as he stepped into my shooting lane I pulled back and let my arrow fly. Typically after a bow shot you have to wait awhile to track your deer, so we took a break and came back to find our deer. He ran out about 100yards before we finally found our big 8 point whitetail buck weighing about 225 lbs. Our day had been very successful on all accounts. My brother and I had a great time sharing some good quality time together, doing what we were use to when we were younger. This is truly what we call “Bothers in the Woods”.